This is a great dish to serve as part of a cold buffet, or to take to feed a crowd on a picnic. Measure 600ml strained stock, reheat and dissolve the gelatine in this. 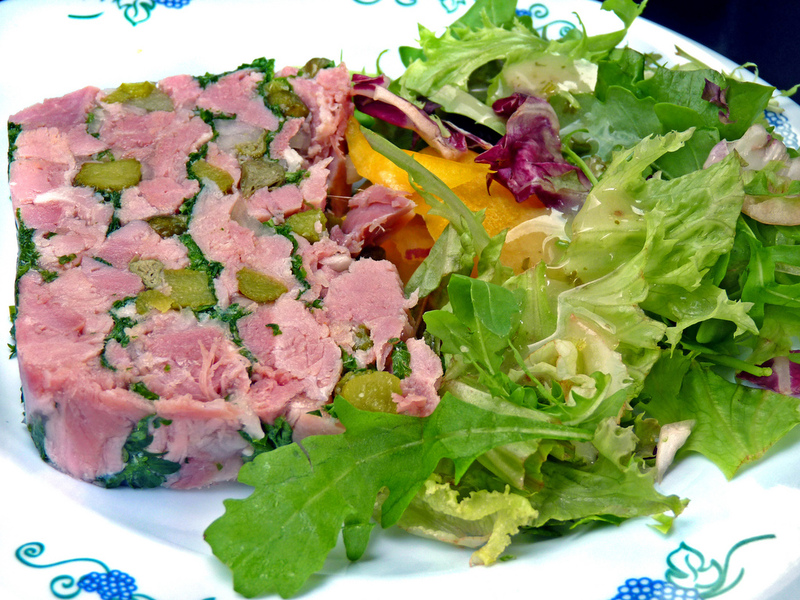 Mix the ham, gherkins, capers and shallots together. Line the inside of a ½ litre terrine dish with cling film. 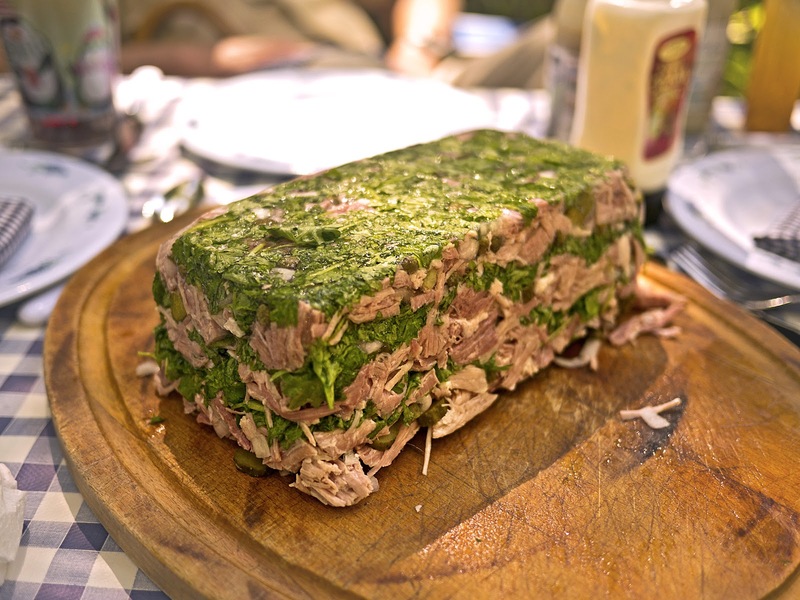 Cover the bottom with a generous layer of chopped parley, then alternate the layers of ham and parsley until it has all been used up. 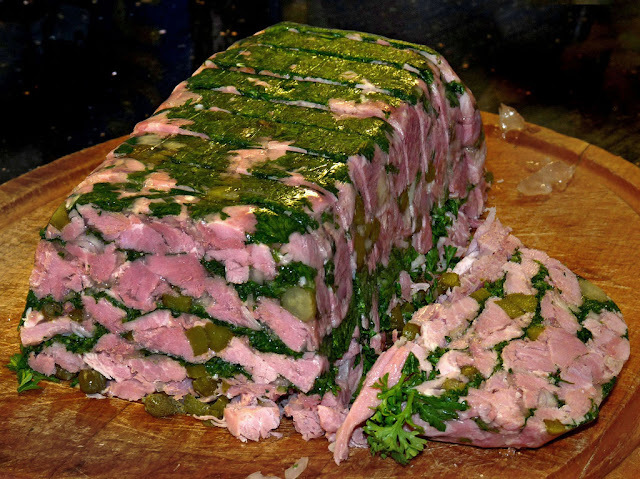 Gently pour on the stock with the gelatine until the dish is full – making sure you leave enough room for the aspic – if the meat is too tightly packed meat the terrine falls apart when cut the next day. Leave overnight in the fridge to set. The next day, invert the terrine, remove the cling film, cut and serve with a salad.